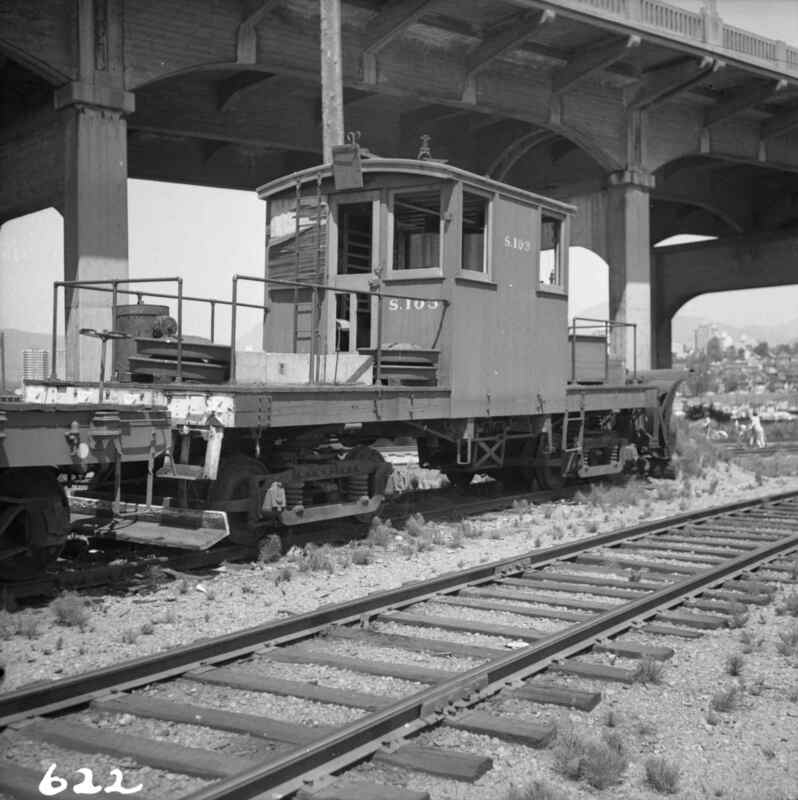 Photograph depicts snowplow #S103, which was an ex-electric stock, stored at the Kitsilano Workshop yards in Vancouver. It was converted from electric locomotive #952 built by 1911 by the B.C. Electric Railway and rebuilt in 1937.